American presidential power is not leading to dictatorship. Presidents have more power today, but there are good historical reasons for the trend. 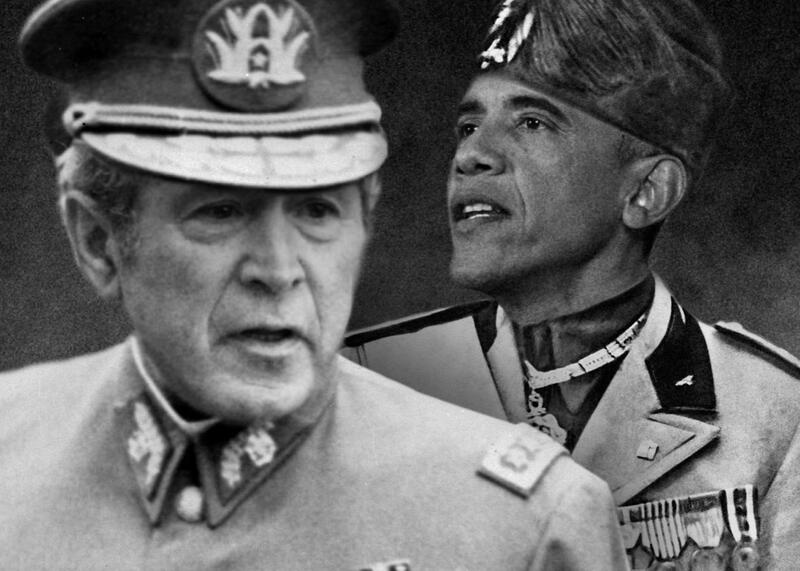 Both George W. Bush and Barack Obama have been accused of being dictators during their presidencies. Is American democracy doomed? An intellectual tradition going back to the nation’s founding holds that it is. Opponents of the Constitution argued that it would create a national dictatorship, and while they lost the founding-era battle, this theme would be carried forward by critics of George Washington, Abraham Lincoln, Franklin Delano Roosevelt, Ronald Reagan, and virtually all other presidents, great or small. So far, the doomsayers have been proven wrong. Yet the end-times feeling is hard to shake. Today, commentators such as Matthew Yglesias point to the polarization of the electorate, the paralysis of Congress, and—most of all—a series of presidential actions that, they argue, are expanding presidential power beyond constitutional bounds. Yale professor Bruce Ackerman believes that, sooner or later, a charismatic extremist will take possession of the Oval Office and, unhampered by checks and balances, implement a fanatical program that damages Americans’ freedoms. It’s impossible to prove these Cassandras wrong—all empires have fallen, and ours is sure to take its turn eventually. The commentators are also careful not to predict collapse anytime soon; they are speaking of an undefined future date, likely when they’re no longer around to be told their predictions did not come to pass. But their diagnoses are all wrong. The accretion of authority in the executive branch is not a violation of constitutional traditions but a feature. The expansion of the executive branch has not undermined American freedoms; it has preserved them against domestic and foreign threats. The 18th-century constitutional design has had to adapt itself to modern conditions, and it has done so reasonably well. The first thing to understand is how modest the accusations are. President Barack Obama stands charged with violating deadlines in the Affordable Care Act and the Dodd-Frank Act; regulating greenhouse gas emissions under the Clean Air Act, a 1970 statute that was never expected to regulate carbon dioxide as a pollutant; using military force in Libya and against ISIS without congressional authorization; refusing to deport unauthorized immigrants; appointing government officials without Senate confirmation while Congress is in recess; and waiving requirements of George W. Bush’s signature legislative achievement, No Child Left Behind. But none of these things is the mark of a dictator. Congress passes enormously complex statutes that delegate to the president powers to create hundreds of rules and enforce them. The deadlines are little more than suggestions; no one can predict how long it will take to implement programs that affect millions of people. Rushing a program into place ahead of a deadline is rarely wise. Congress passes these statutes with the understanding that the president will use the administrative powers conferred upon him to address unanticipated problems; once greenhouse gases emerged as a threat to human well-being, the statute authorized the president to act. Presidents have been sending military forces into battle without congressional authorization since almost the founding. The reason for this is that new threats often emerge too rapidly for Congress to address. Obama’s decision not to deport undocumented immigrants was just a continuation of the policy of President George W. Bush and other predecessors; all that was new was his public acknowledgment that this is what he was doing. Recess appointments are also a tradition that goes back to the founding. Originally intended to keep government running when the Senate was out of session, today they are also used when the Senate is deadlocked. And No Child Left Behind authorizes the president to waive its requirements, in common with many other statutes passed by Congress. Bush was also accused of being a dictator—by the Democrats who now defend Obama. Bush did not use military force without congressional authorization, but he did use his commander-in-chief power aggressively—claiming that he could engage in surveillance, use coercive interrogation, and detain foreign terrorists without trial. Most of these activities were in tension with statutes on the books. But Bush argued that these statutes interfered with his ability to prosecute the war against al-Qaida, so he had to yield to that imperative. He also took the position early in the conflict with al-Qaida that seeking additional authority from Congress was unwise because the accompanying publicity could tip off the terrorists. But when leaks rendered moot these concerns, he sought and obtained legal authorization for most of what he was already doing and otherwise curtailed his more aggressive tactics. Here again, Bush was doing pretty much what other presidents had done. Liberal critics honed in on the aggressive theories of presidential power advanced by some of his administration’s lawyers, who argued that Bush could defy statutes that interfered with his commander-in-chief authority. This argument seemed to imply that Bush could do anything he wanted, as long as he thought it advanced national security. Maybe so, but Bush did not use this theory to jail his opponents or censor the press, to implement extreme and unpopular policy choices, as a normal dictator would. Bush accomplished hardly anything at all domestically. Indeed, the Bush administration lawyers probably had the better of the argument. In order to give Obama maximum flexibility, Obama’s lawyers have interpreted statutory language with considerable flexibility—for example, defining the word hostilities so as not to encompass a bombing campaign in order to evade legal limits on the war in Libya—without explaining why the ordinary meaning of words are replaced with narrow meanings when applied to the president. The only answer is that the president’s special constitutional position entitles him to some degree of deference from the other branches of government. A minor but telling tempest brewed in a teapot in 2006 when the Bush administration was accused of fomenting a “constitutional crisis” by issuing statements that interpreted portions of bills narrowly when he signed them. In fact, presidents had issued such signing statements for decades. The statements have no legal status—they are not enforceable in court, for example. They simply state how the executive plans to go about implementing statutes, reflecting legal interpretations that the executive must make in order to fit the statutes to circumstances. As far as I know, no one has ever shown that Bush’s signing statements deprived anyone of his legal rights, and Obama has continued this practice. Even more to the point, when you try to identify the most important and controversial actions of Bush and Obama, all of them involve congressional consent. For Bush, Congress authorized the invasions of Afghanistan and Iraq, the expansion of surveillance and detention authorities, a major tax cut, No Child Left Behind, and $700 billion to bail out the financial system in 2008. For Obama, Congress authorized a $787 billion stimulus plan, the Affordable Care Act, and a major overhaul of financial regulation. The presidents’ unilateral actions were incremental or interstitial—acting sometimes ahead of congressional authorization, modifying laws in light of changed circumstances and bureaucratic imperatives, building on existing authorities. So why the hand-wringing? Presidential powers have undoubtedly increased over the centuries, but the reason is just that effective government today requires a strong presidency. The small agrarian society of the late 18th century could be governed mainly by the states; the tiny federal government employed a few thousand people, and it handled things like postal services, customs, and defense against Native Americans. In the 19th century, railroads, telegraphs, and telephones knitted together a national market, ultimately requiring the federal government to step in and regulate across state lines. This process accelerated in the 20th century, resulting in a further transfer of power from states to the national government, and from Congress to the president, who was supplied with a vast bureaucracy to tackle the endless problems caused by industrialization, the advance of technology, and the emergence of foreign threats. With great power to do good comes the power to abuse. The founders worried about creating Caesars and Cromwells; today, Hitler is everyone’s hobgoblin. And it is true that Nixon and some of his predecessors spied on their political opponents and used other trickery that cannot be defended. But the U.S. political system has not produced any dictators, ever; at some point, our own experience needs to trump fears based on events in foreign countries and the distant past. Economic stagnation, foreign threats, and environmental degradation have created anxious times, and in times of anxiety people look to the government. The real source of anxiety is not presidential aggrandizement—that’s the solution. The real source of anxiety is the inability of an even very powerful president to solve any of these problems. But since it’s easier to blame someone than to acknowledge that some problems are insoluble, anxiety about the state of the world has been transmuted into anxiety about the institutional structure of government. This may be why people complain about presidential power when their party does not hold the presidency but do nothing to curtail it when given the chance.